121 constituencies across 12 states and union territories are voting today in the fifth and biggest round of India's nine-phase national election. Many high profile voters turned up early to cast their votes. 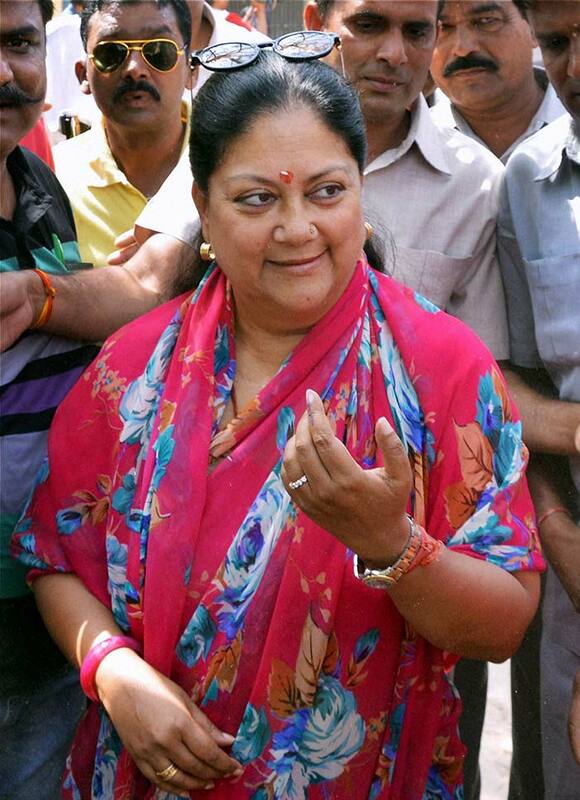 Chief Minister of Rajasthan and BJP leader, Vasundhara Raje Scinidia casts her vote. 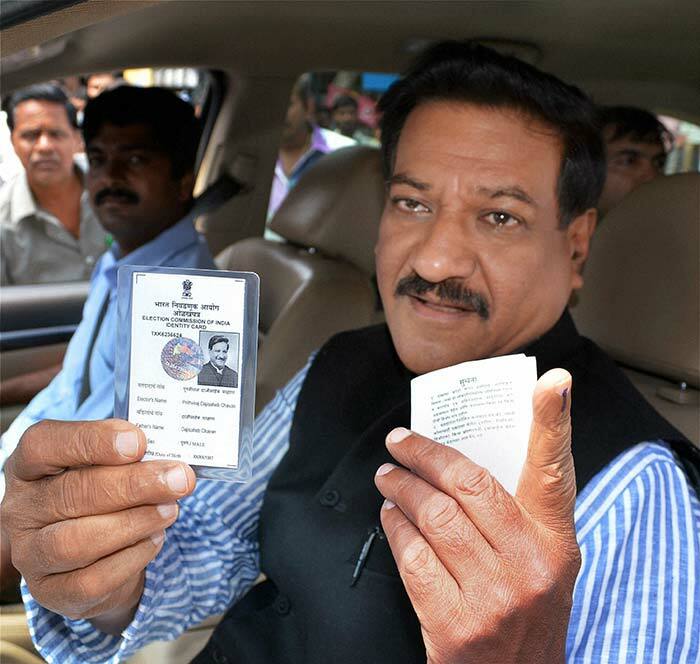 Maharashtra Chief Minister Prithviraj Chavan shows his voter identity card after casting his vote in Karad, Maharashtra. 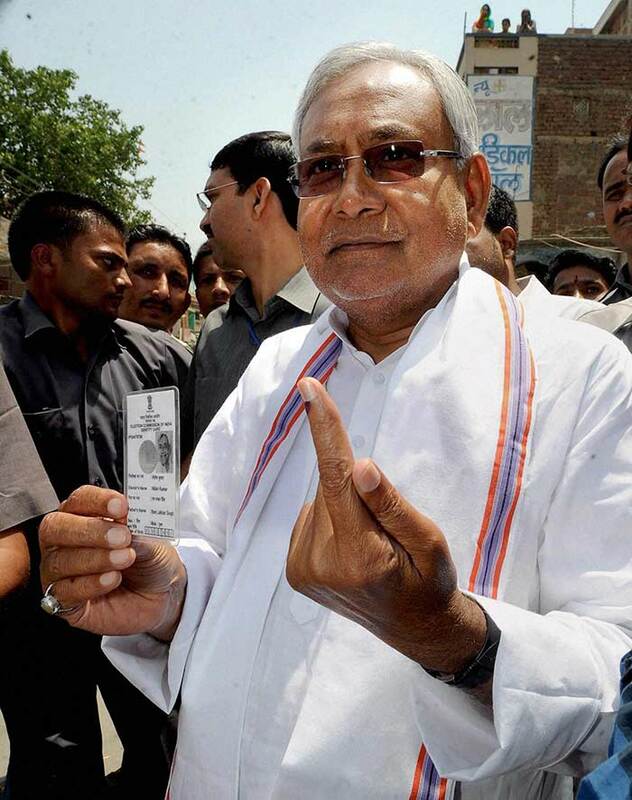 Bihar Chief Minister Nitish Kumar casts his vote. 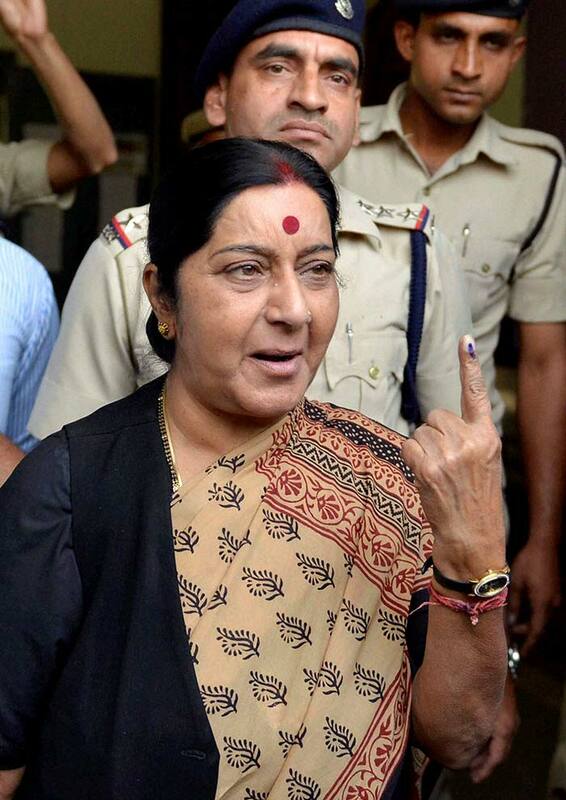 BJP leader Sushma Swaraj shows her ink marked finger after casting her vote in Bhopal. 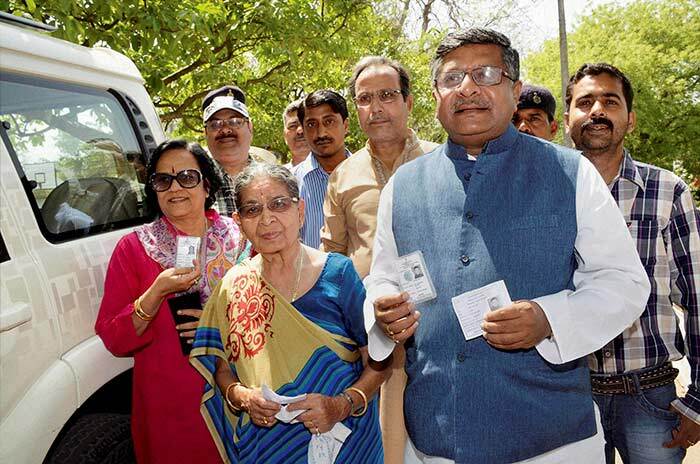 BJP senior leader Ravi Shankar with his family at a polling booth after casting their vote in Patna. 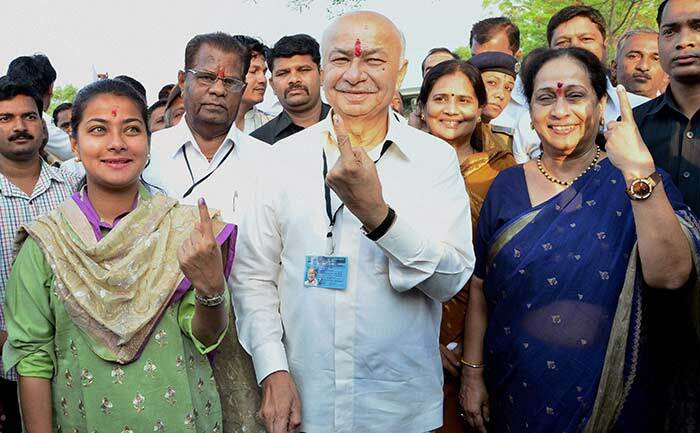 Sushil Kumar Shinde shows his inked finger after casting his vote. 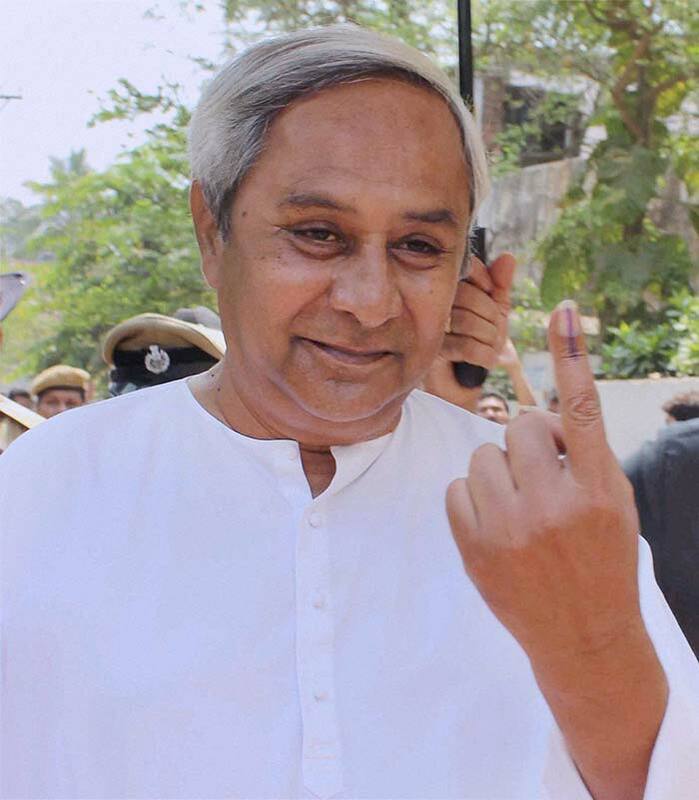 Odisha Chief Minister Naveen Patnaik casts his vote. 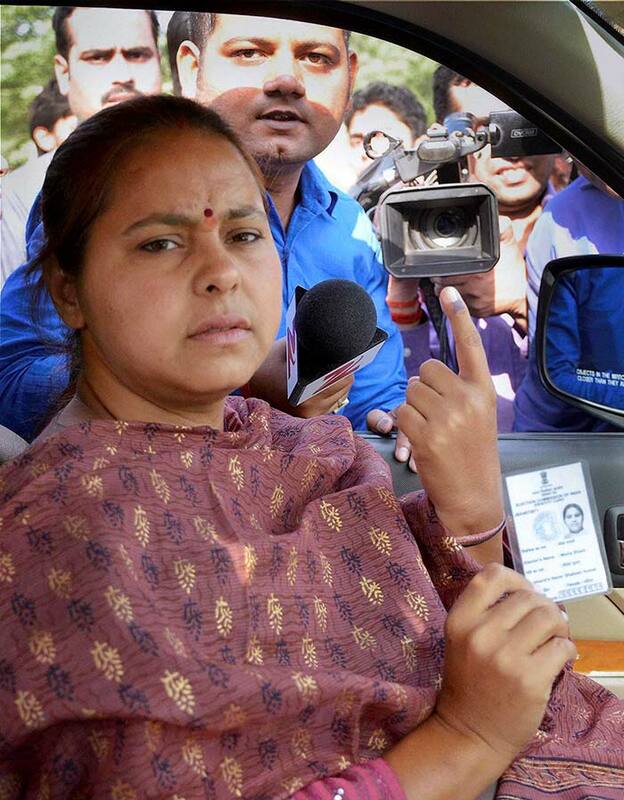 Lalu and Rabri Devi's oldest daughter Misa Bharti casts her vote. Misa is contesting the polls from Pataliputra constituency in Bihar. 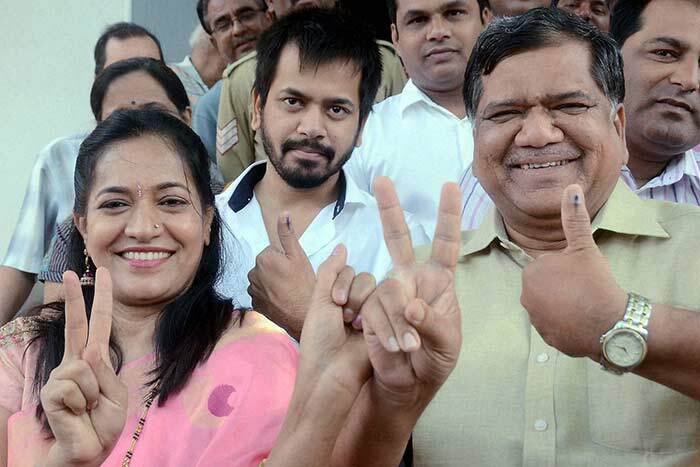 Former Karnataka Chief Minister Jagadish Shettar along with his family after casting votes at a polling station in Hubli. 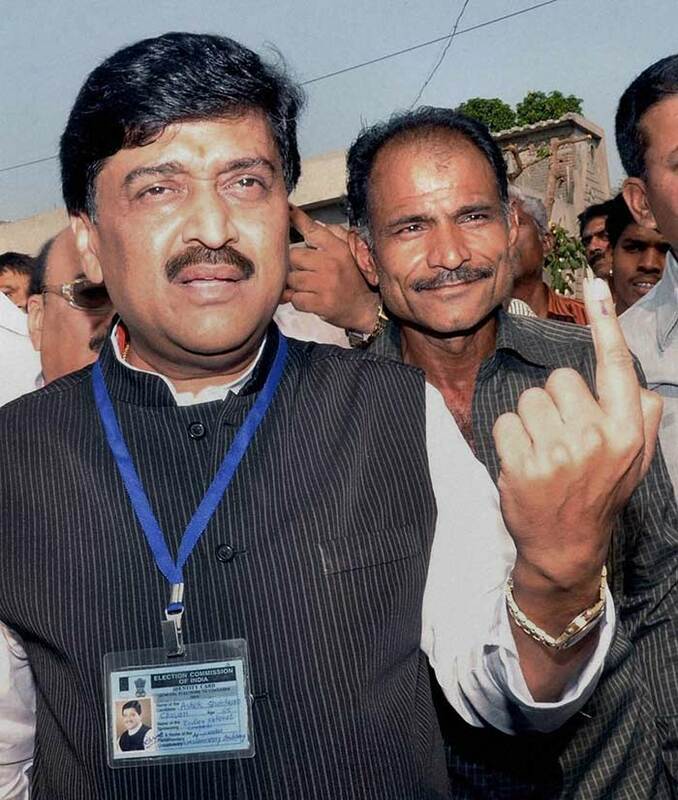 Congress candidate Ashok Chavan shows his inked finger after casting his vote in Nanded, Maharashtra. 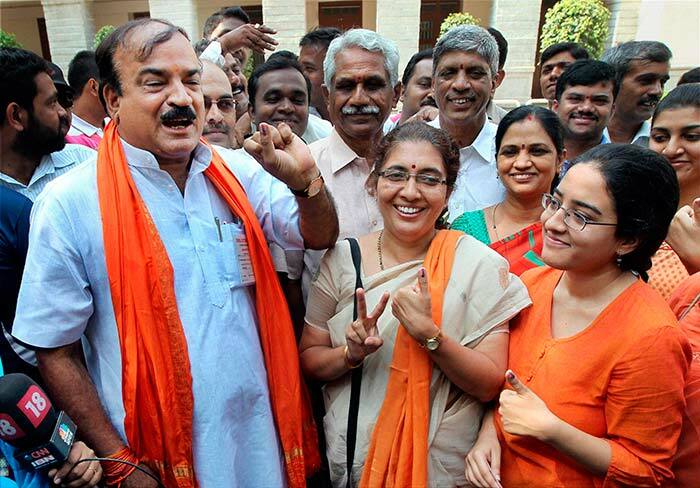 BJP candidate from Bangalore South Ananth Kumar shows his inked finger after casting vote with his family at a polling station in Bengaluru. 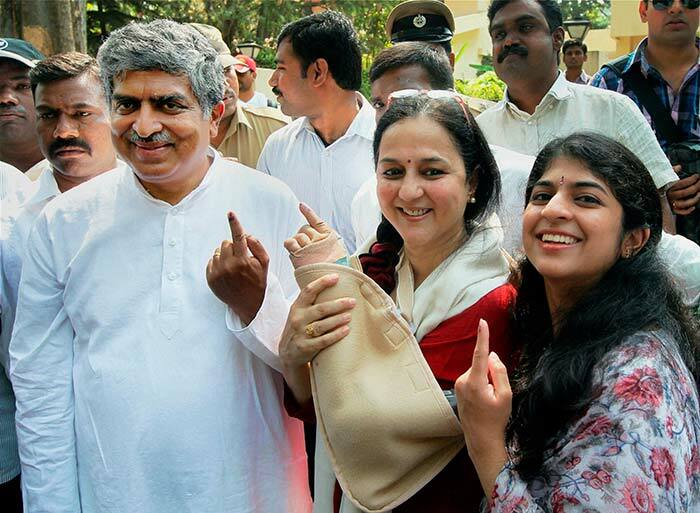 Congress candidate from Bangalore South Nandan Nilekani shows his inked finger after casting his vote with his wife Rohini and daughter. 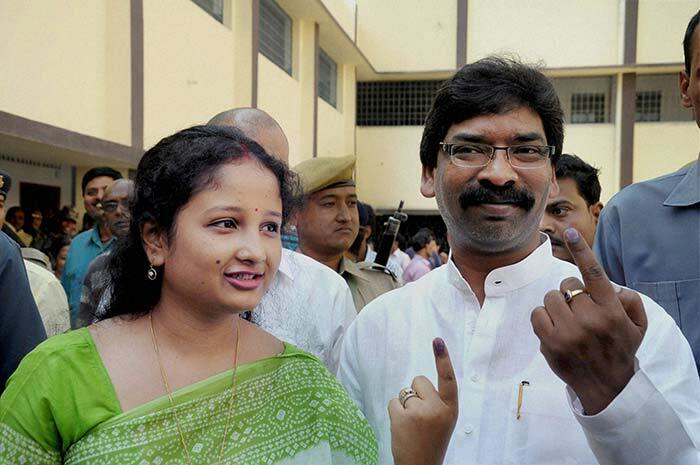 Jharkhand chief minister Hemant Soren and his wife show their ink marked fingers after casting their votes in Ranchi. 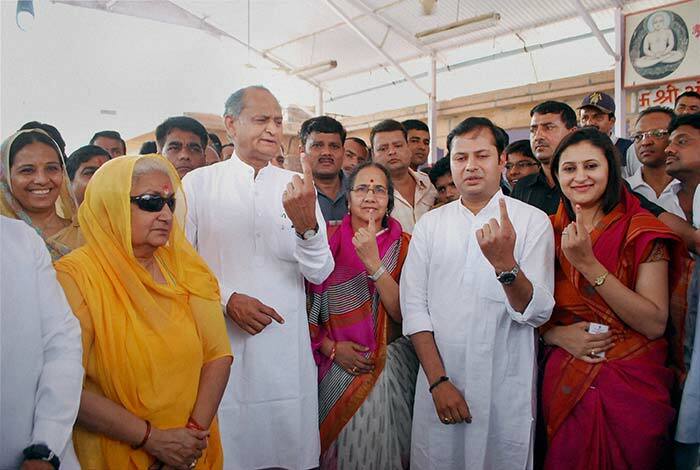 Congress candidate Chandresh Kumari Katoch with former chief minister Ashok Gehlot and her family members after casting votes in Jodhpur. 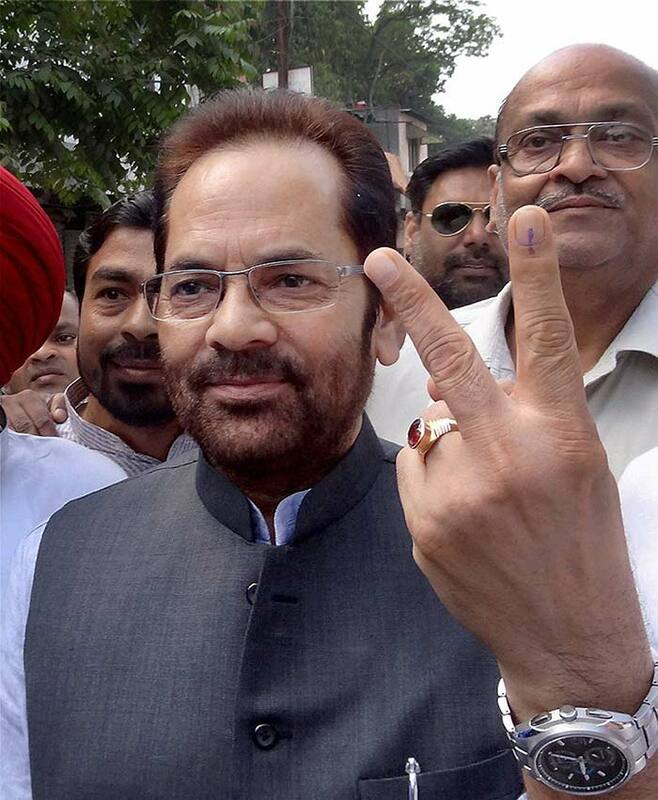 BJP leader Mukhtar Abbas Naqvi after casting his vote in Rampur. 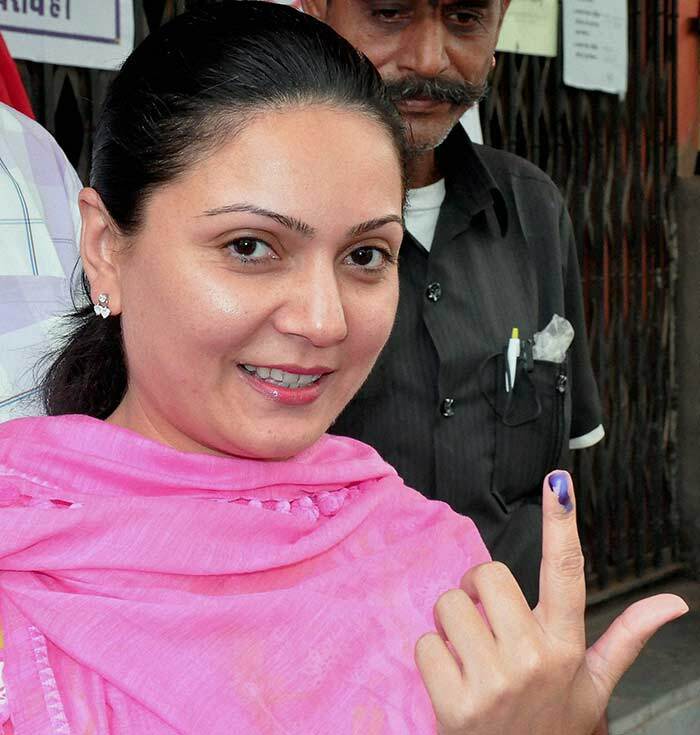 BJP MLA Princess Siddhi Kumari shows her ink marked finger after casting her vote in Bikaner. Ace shooter and Olympic silver medallist turned politician Rajyavardhan Rathore with his wife, after casting his vote. Rajyavardhan is a BJP candidate from Jaipur Rural constituency. 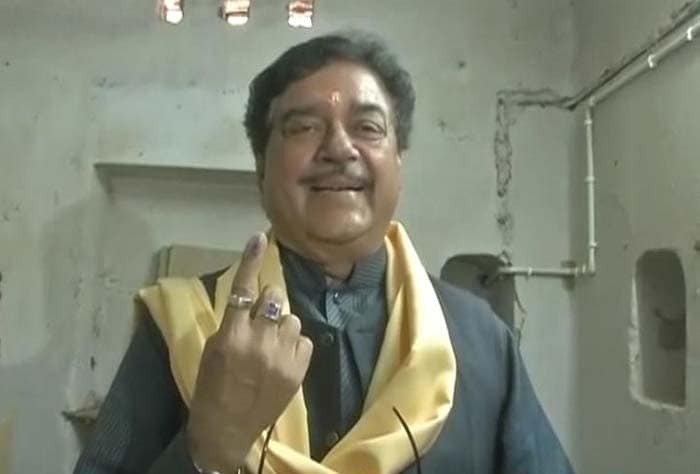 Shatrughan Sinha casts his vote in Patna. 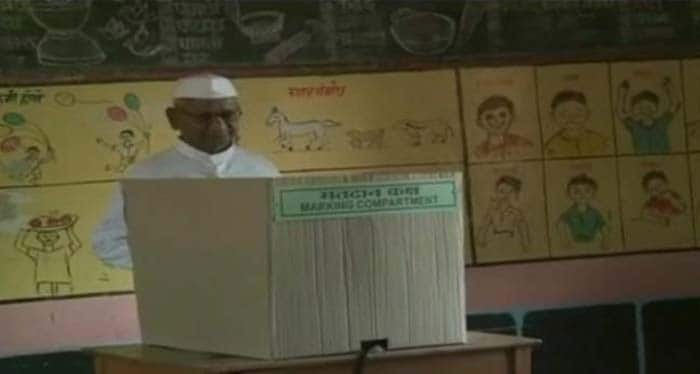 Social activist Anna Hazare casting his vote. 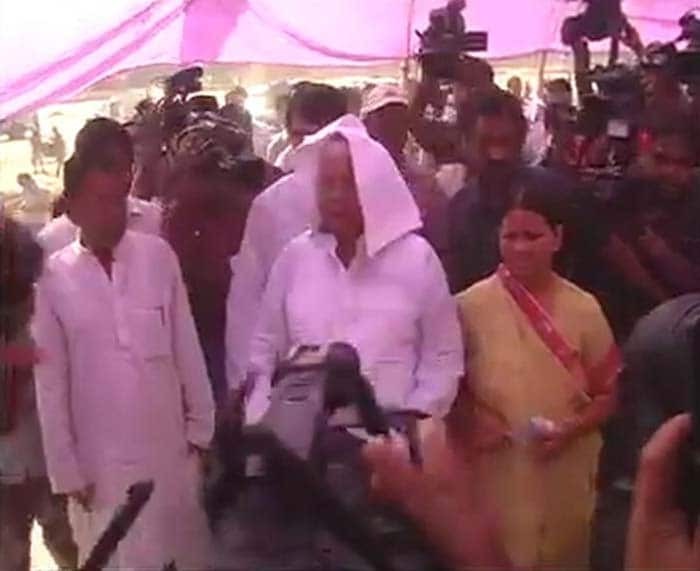 RJD chief Lalu Prasad and his wife Rabri Devi arrive to cast their votes. NCP leader and Sharad Pawar's daughter, Supriya Sule after casting her vote. She is contesting from the NCP stronghold of Baramati in Maharashtra. 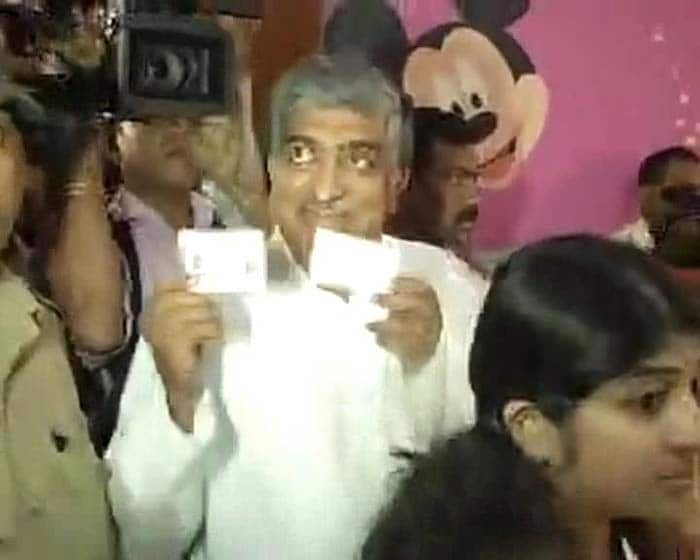 Former corporate leader turned politician Nandan Nilekani arrives to cast his vote. Nilekani is contesting as a Congress candidate from Bangalore South. Senior BJP leader Yashwant Sinha arrives to cast his vote. Yashwant Sinha's son, Jayant is contesting from Hazaribagh in Jharkhand - a seat his father has won three times. 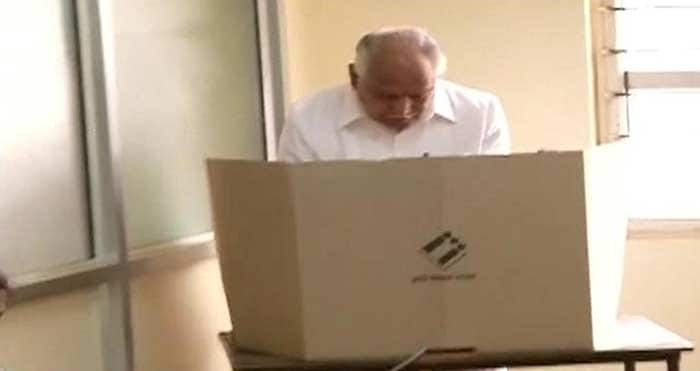 Former Karnataka chief minister and BJP candidate from Shimoga, BS Yeddyurappa, casts his vote. 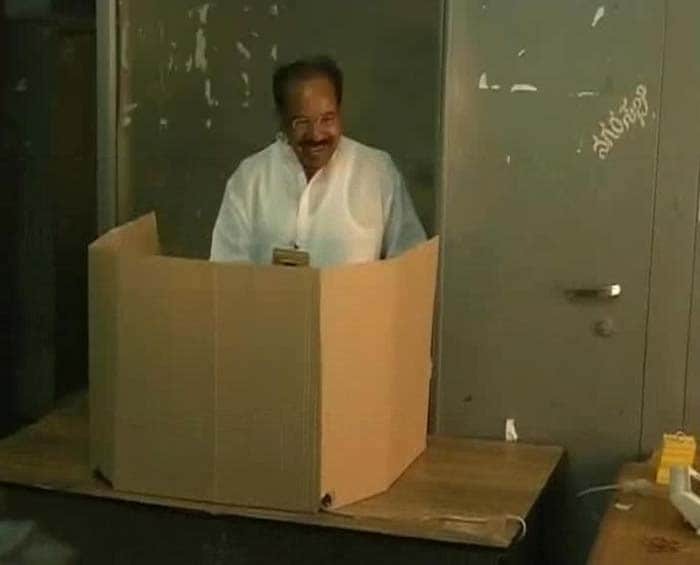 Union minister Veerappa Moily casts his vote in Chikkaballapur, Karnataka. 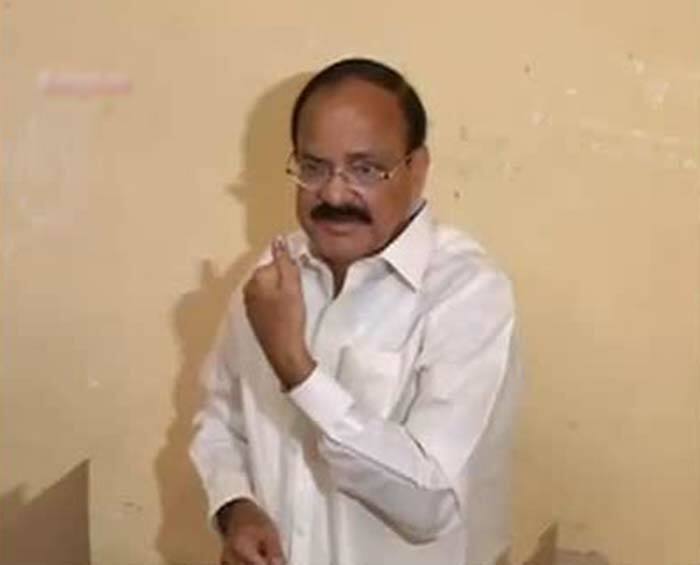 BJP leader Venkaiah Naidu after casting his vote in Bangalore. Sri Sri Ravi Shankar casts his vote in Bangalore. 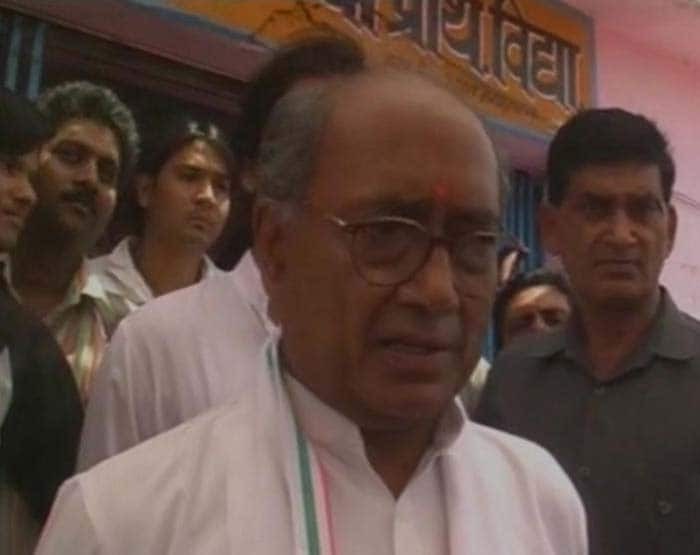 Former Madhya Pradesh chief minister Digvijaya Singh casts his vote in Guna, Madhya Pradesh.